WP Promo WordPress Theme is one of the more attractive plr themes out there that will drive you straight up over your direct hot niche competition. And don’t kid yourself, you need every advantage you can get your hands on if you are looking to get visible online and make money. This is the theme you need to make that happen. You can create an exceptionally high quality online magazine which comes with a lot of cool features. This WordPress promo theme is user friendly and makes it super easy for you to find your audience and serve up the solutions they are looking for. If you have the answers for them in their hot niche desires you will make money. That’s just how the cookie crumbles and from there it’s up to you to climb as high as you like. The higher the better in my books! 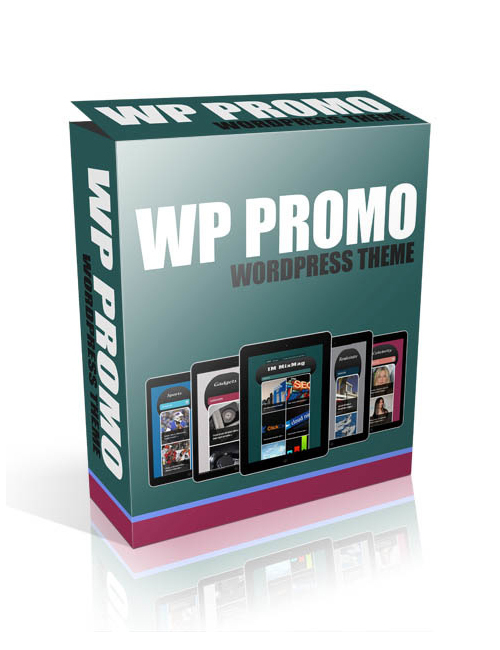 WP Promo WordPress Theme is the perfect download for you in the now. Take action by grabbing it today and an open door to a soaring tomorrow.